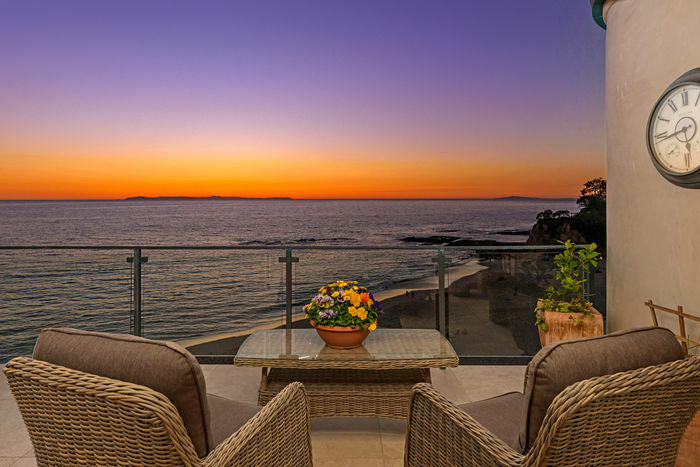 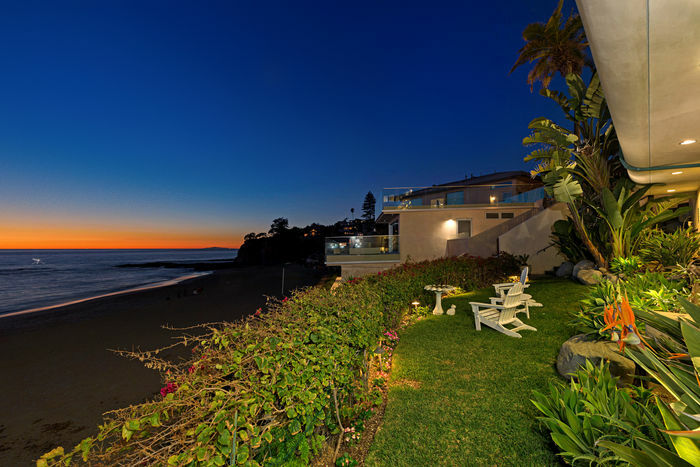 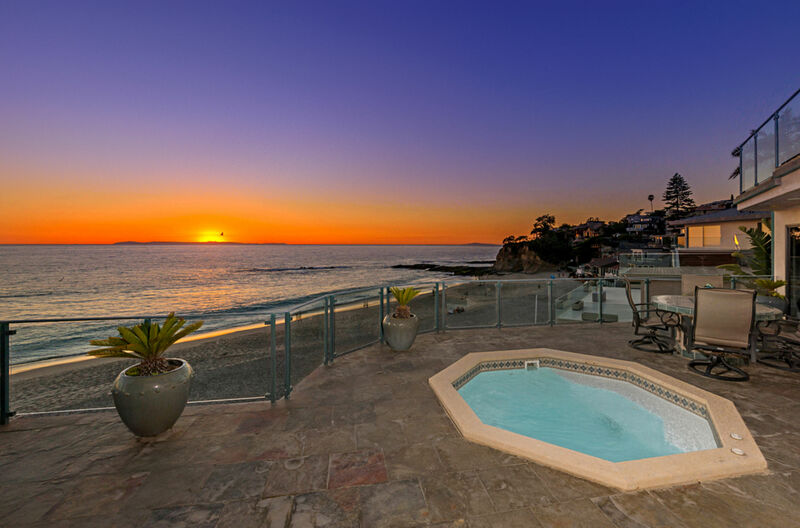 Premier oceanfront masterpiece on Victoria Beach in the private,exclusive gated community of Lagunita! 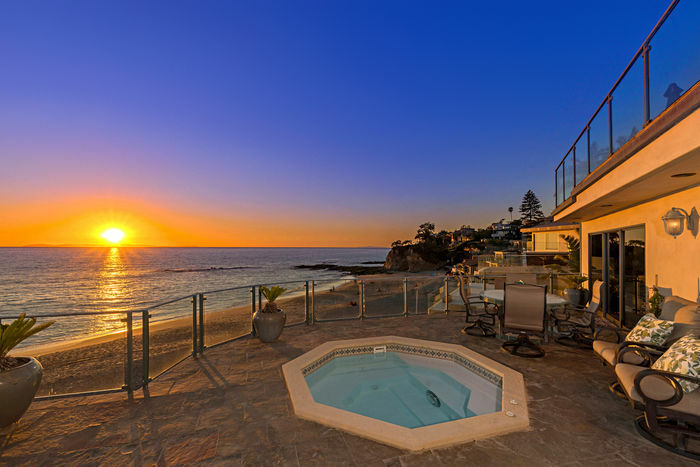 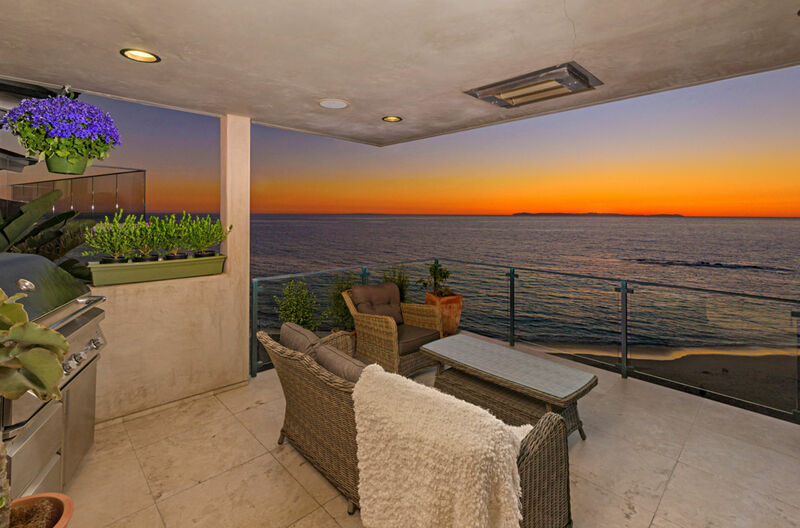 Enjoy the waves rolling on the sand and Catalina Island sunsets from this spectacular 4 bedroom, 5 bath home, plus guest quarters and office. 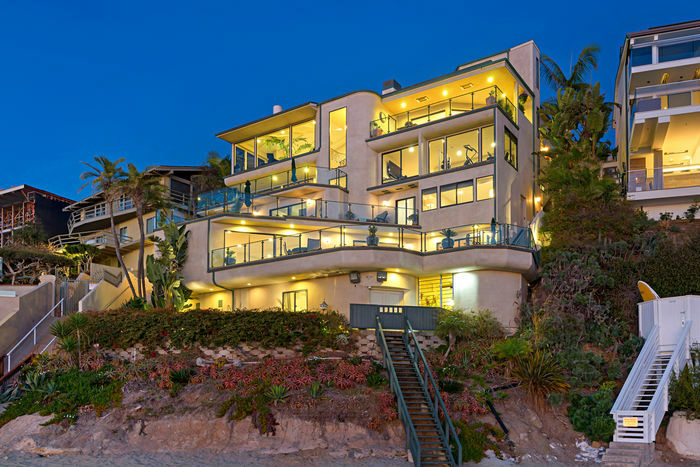 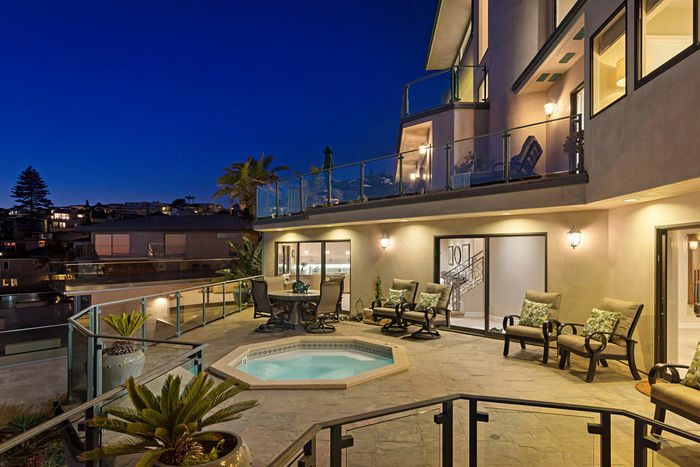 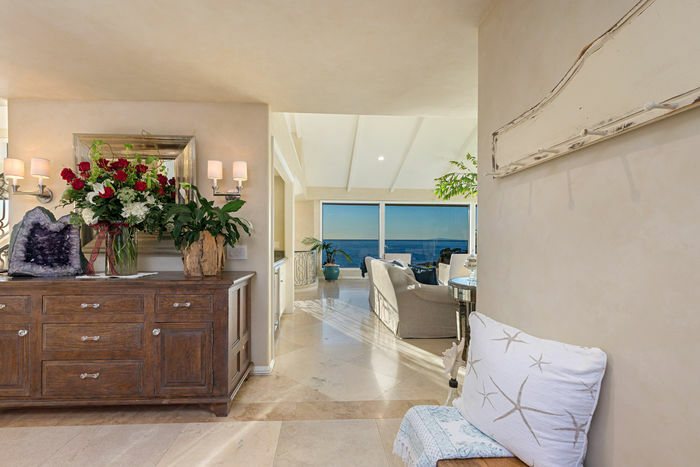 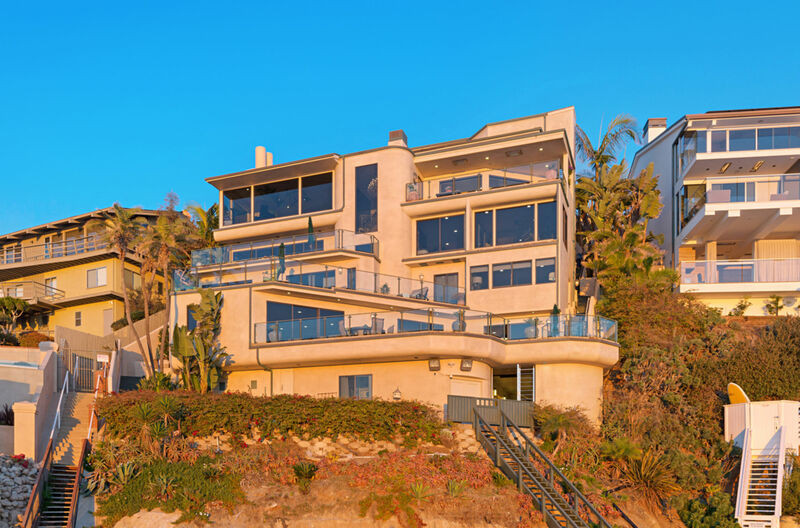 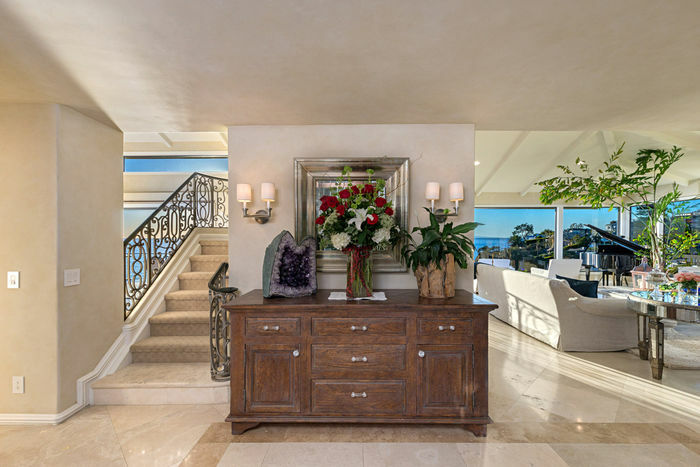 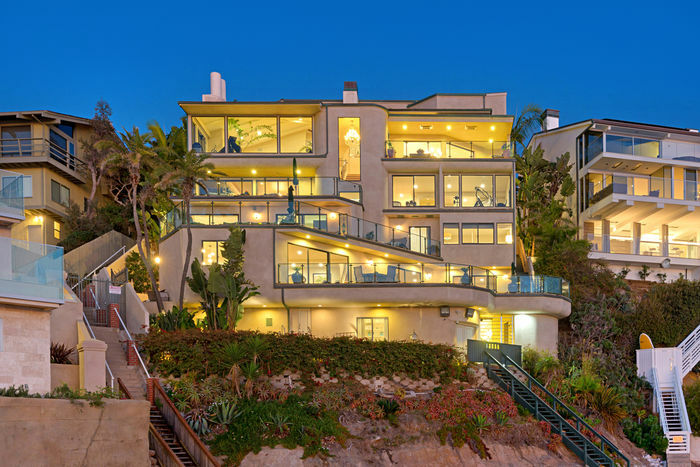 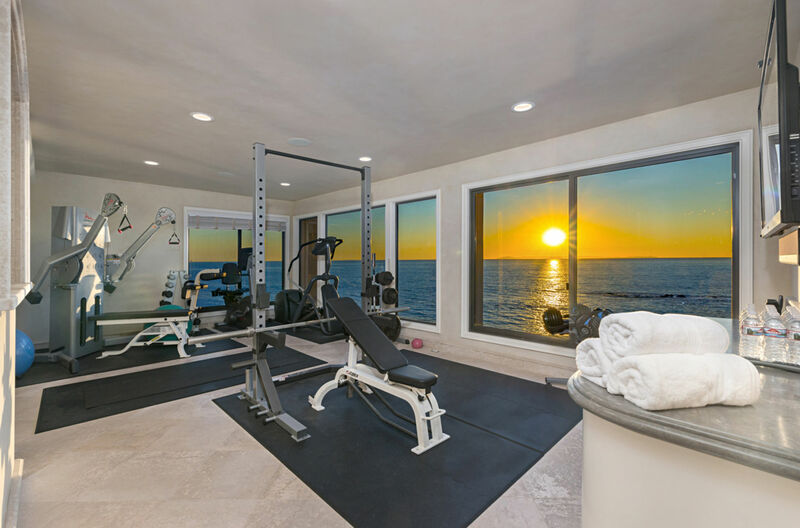 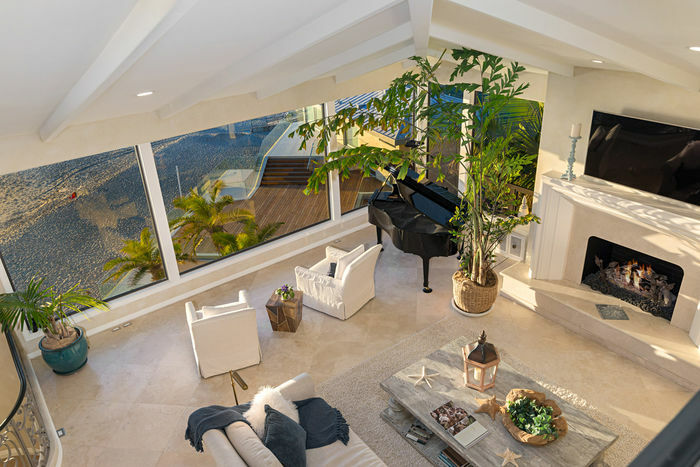 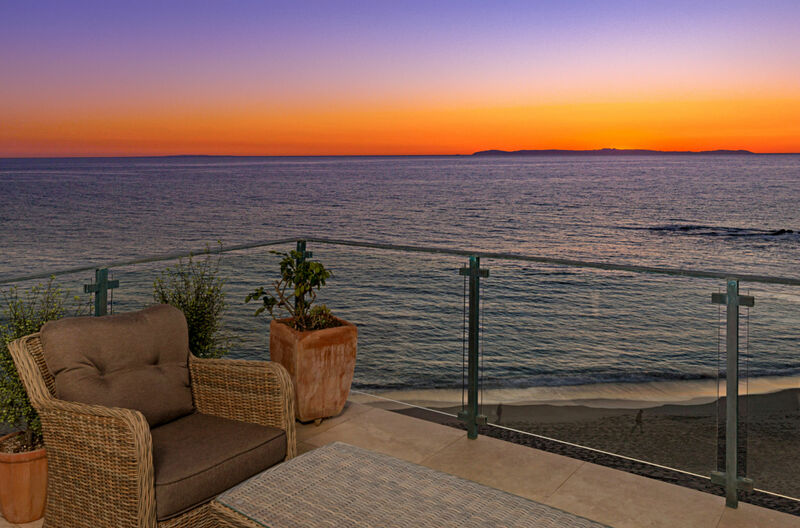 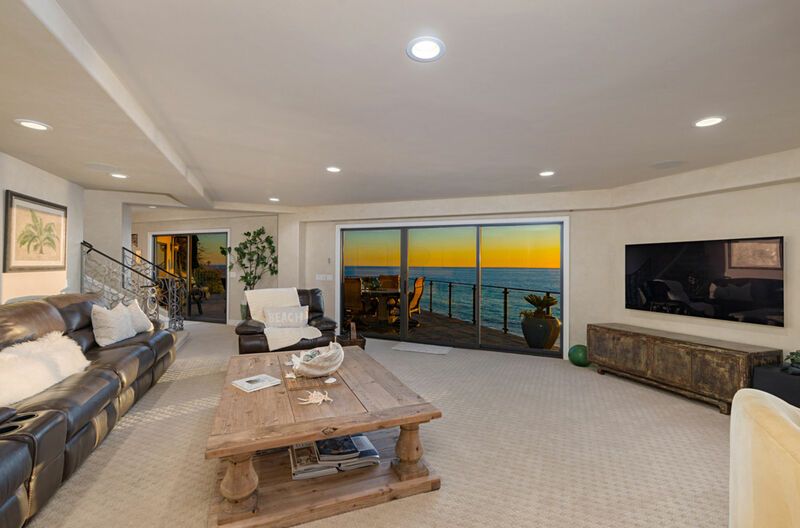 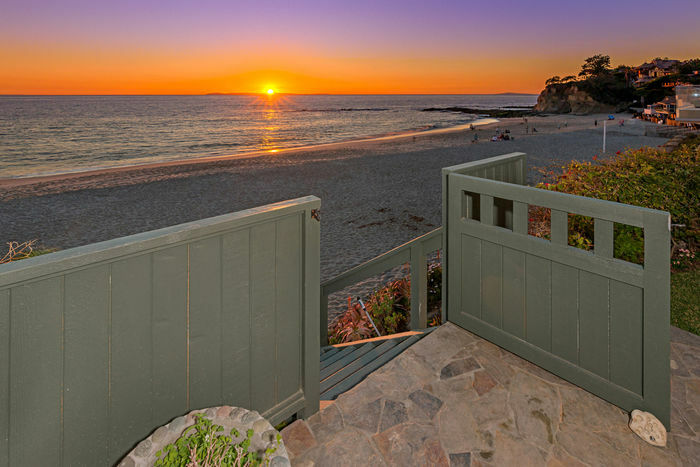 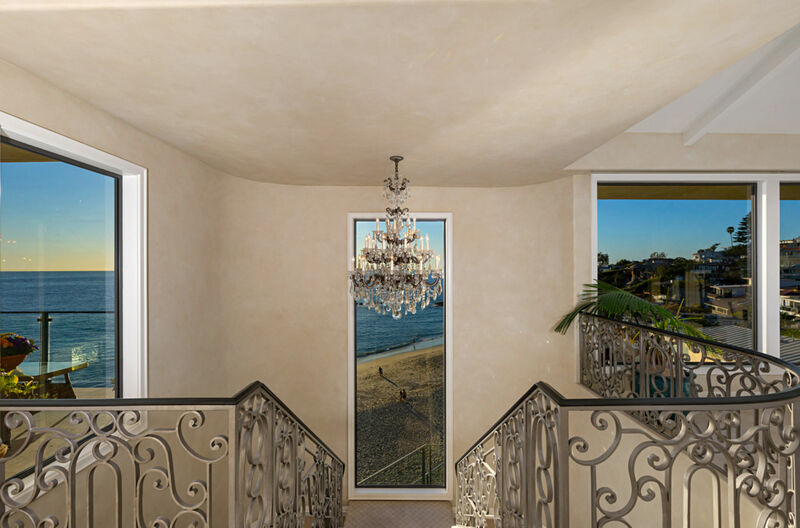 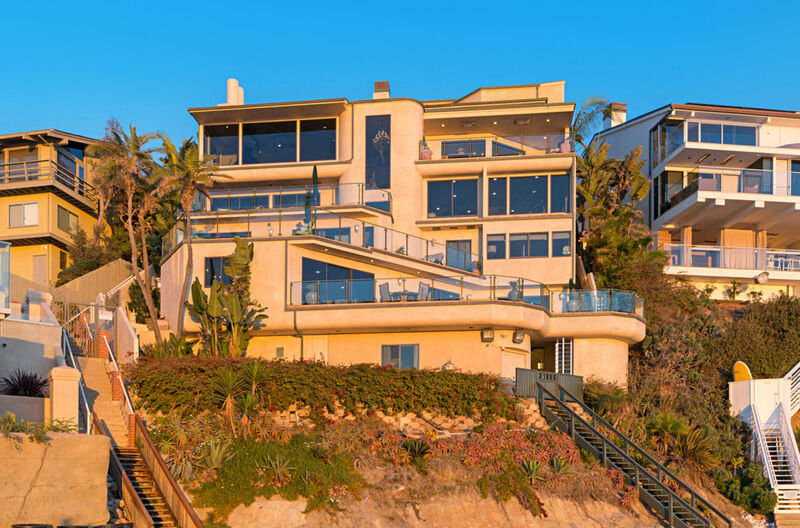 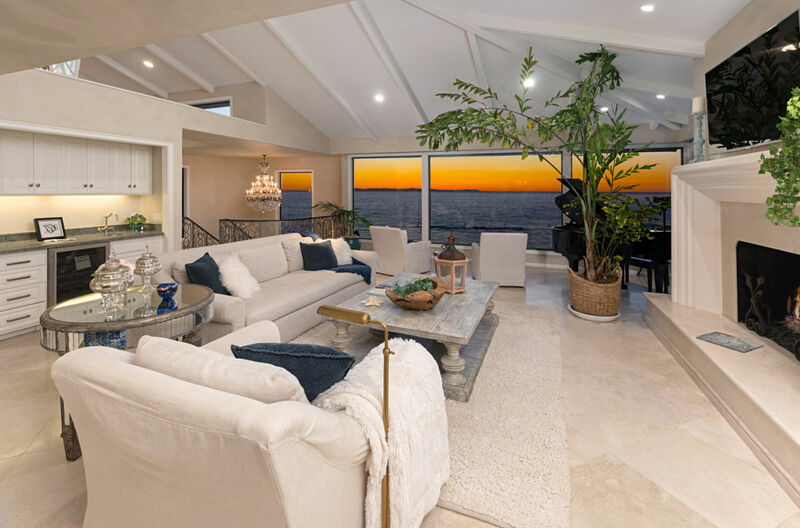 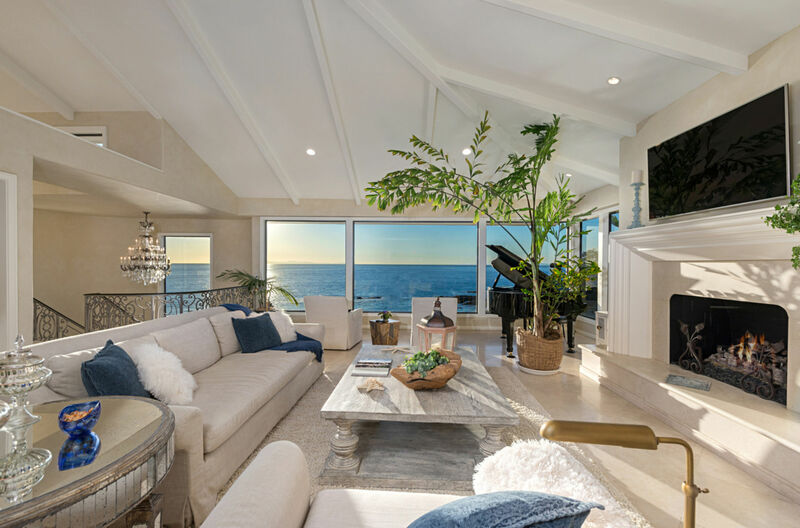 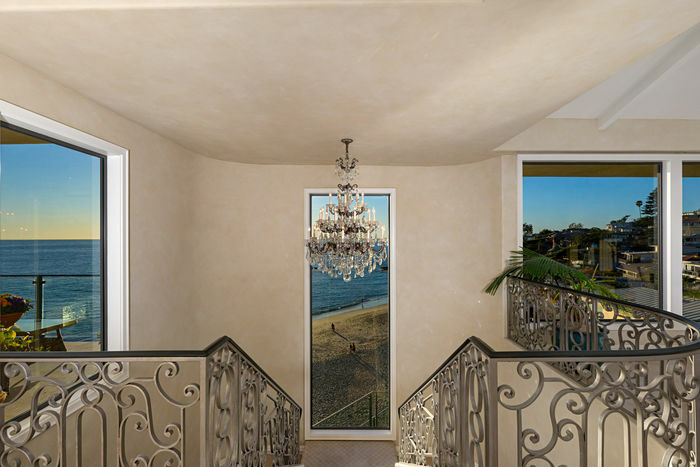 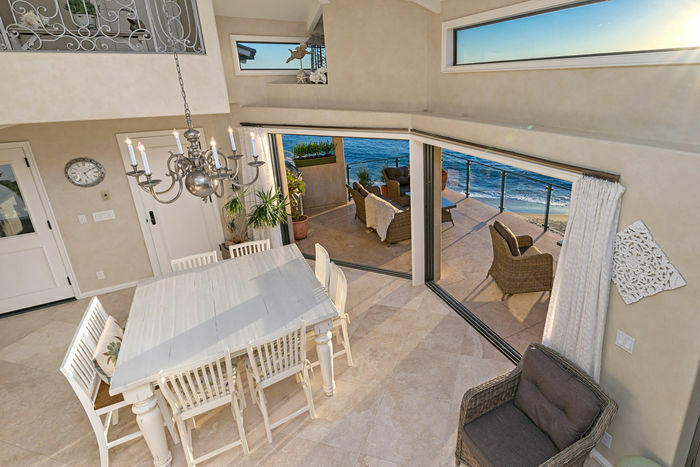 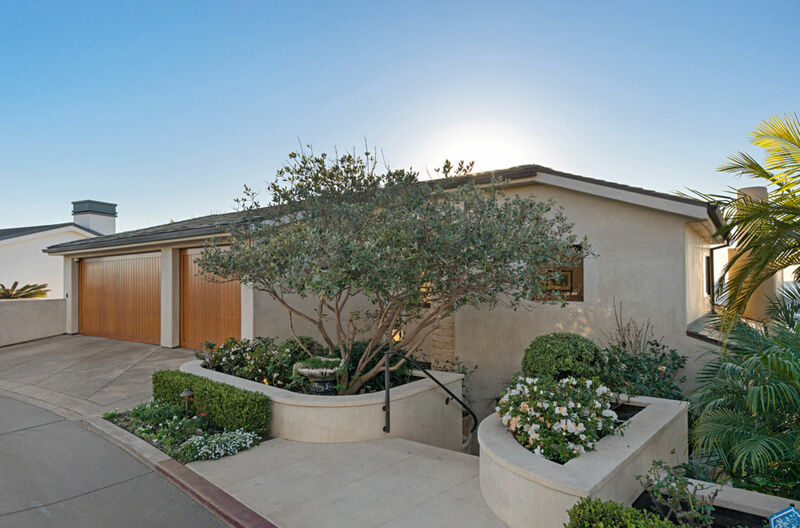 Living levels connect directly to the beach with home’s private stairway, this provides easy access “toes in the sand” onto one of Southern California’s most renowned beaches. 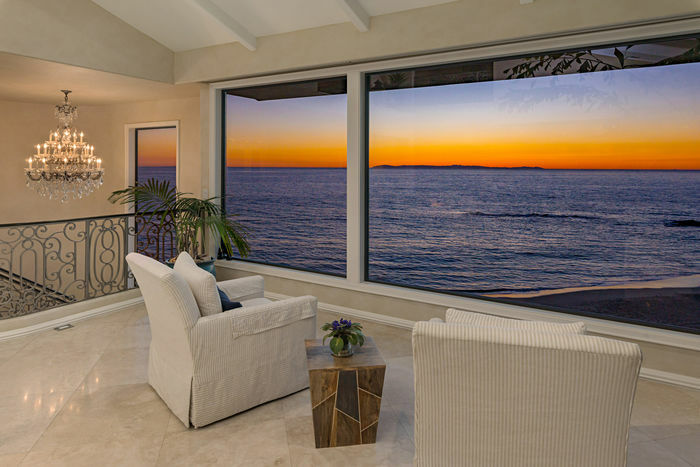 Walls of glass bring panoramic views into every room, plus elevator access to all floors. 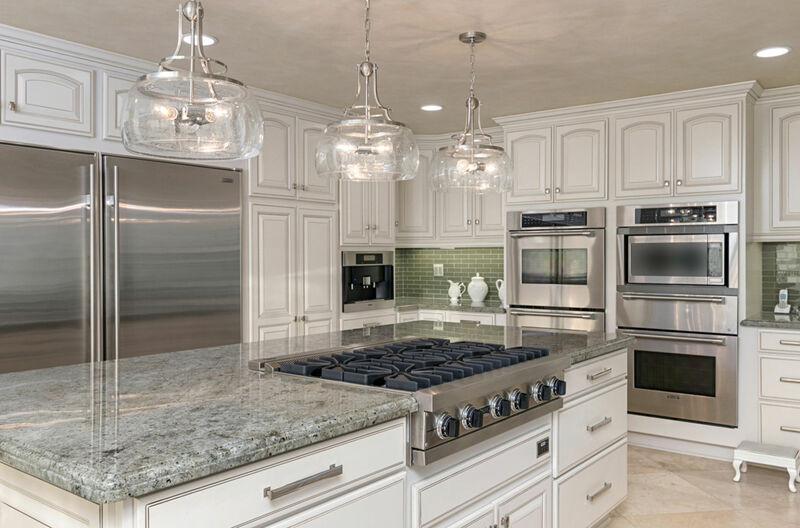 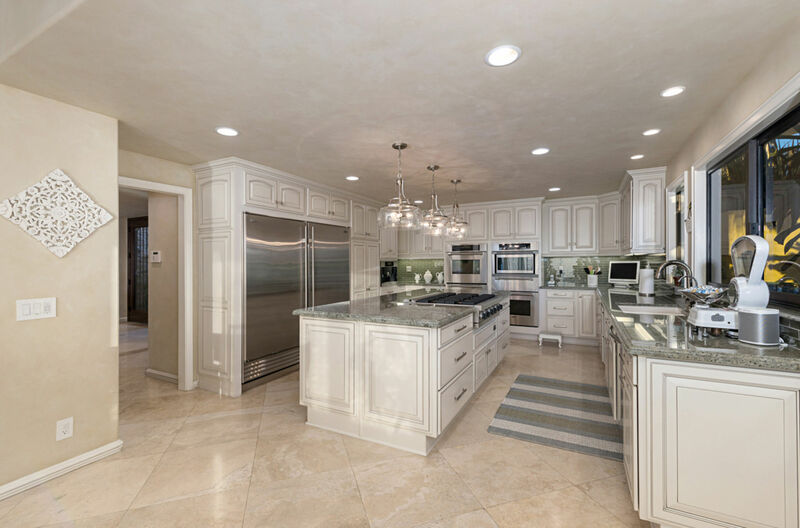 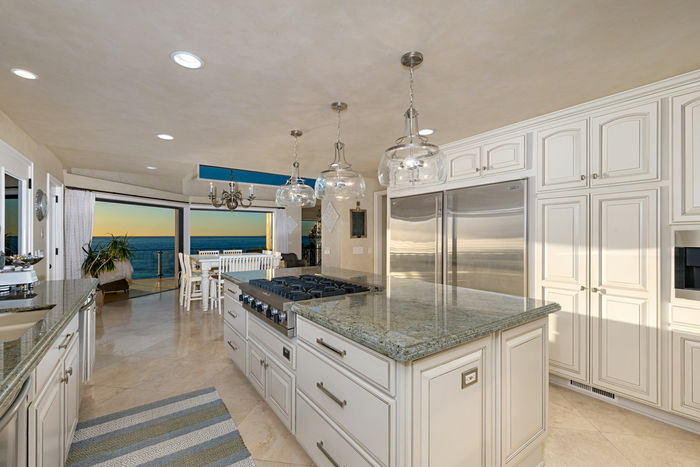 The spacious main living level boasts stunning views, wide glass openings with chef’s gourmet kitchen featuring Viking 6-burner cooktop, 3 ovens, Subzero refrigerator and state-of-the-art appliances. 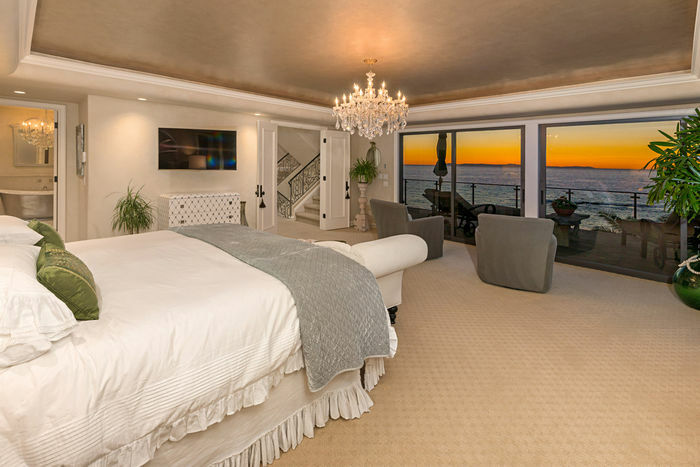 The lower second floor is fully dedicated to a master bedroom suite with gym, steam room, sauna and sliding glass leading to a romantic white water view deck. 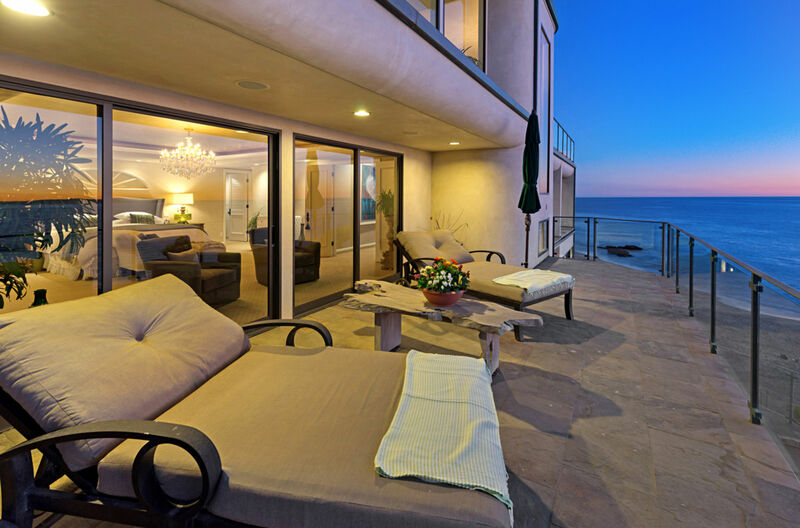 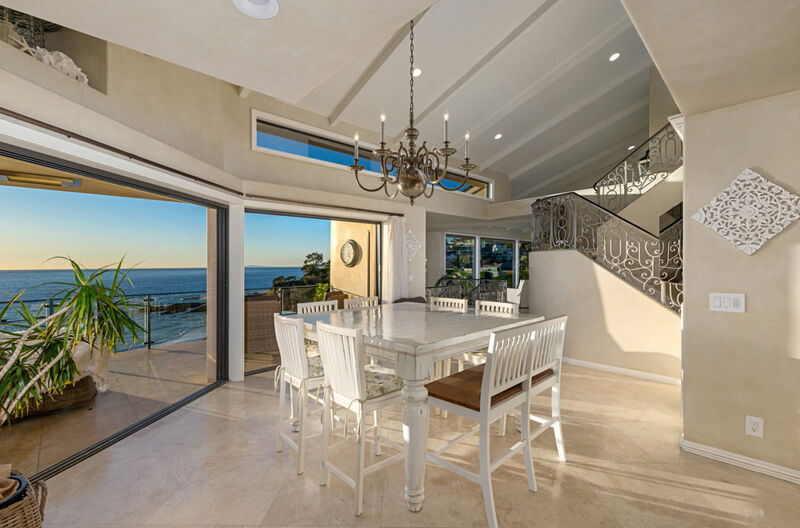 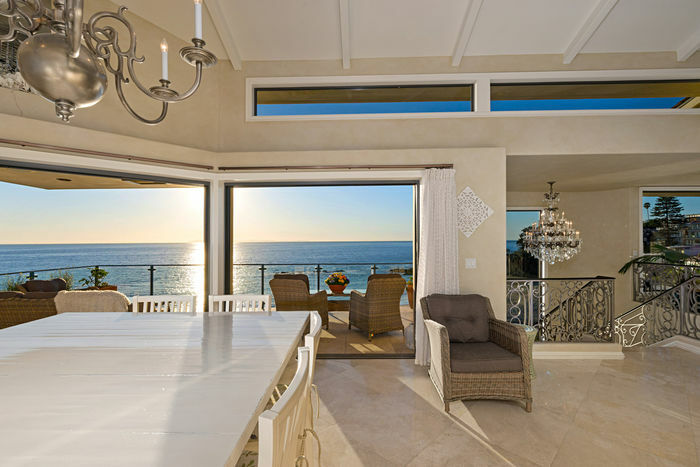 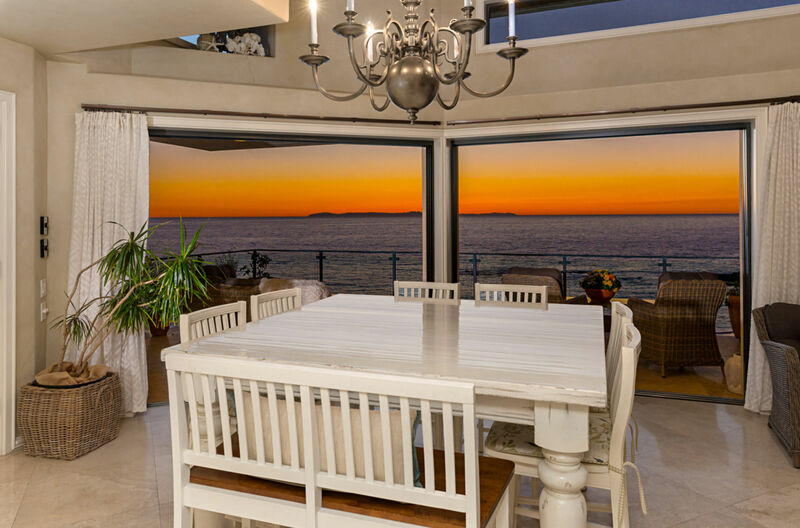 Three guest bedrooms and a large home office provide an abundance of ocean view living areas. 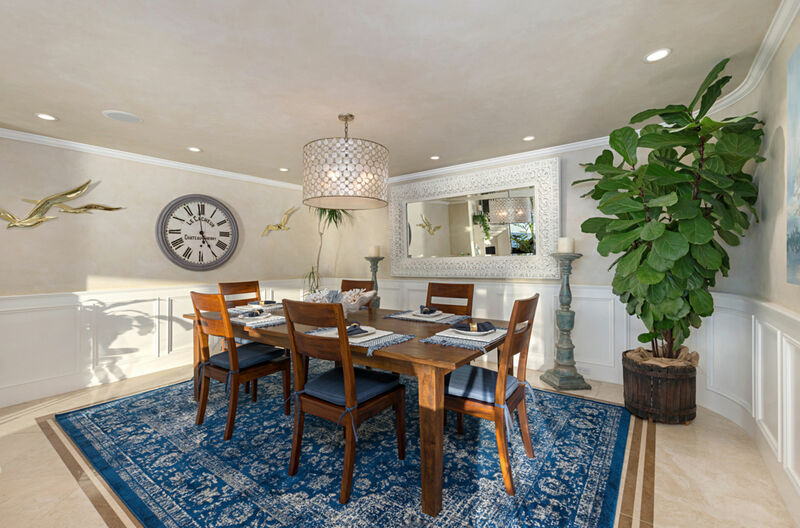 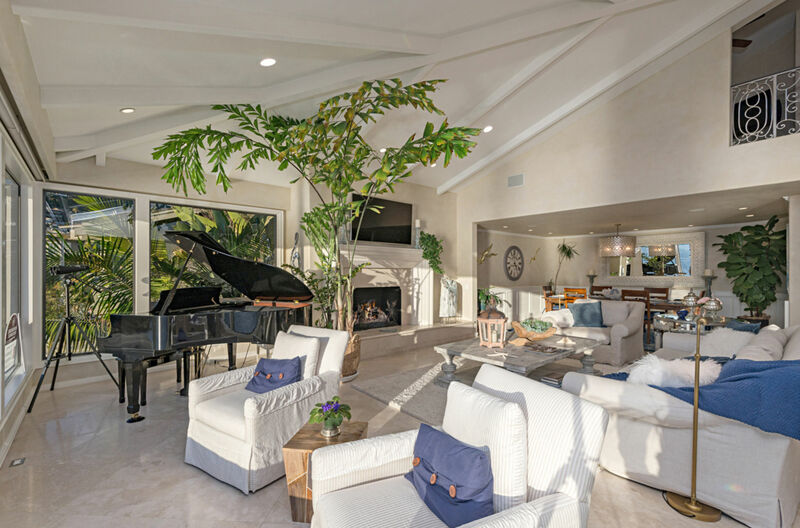 Adjacent to the beach is an entertainment level with media room, kitchenette, billiard room, 1,000-bottle wine cellar and large entertaining patio with sparkling spa. 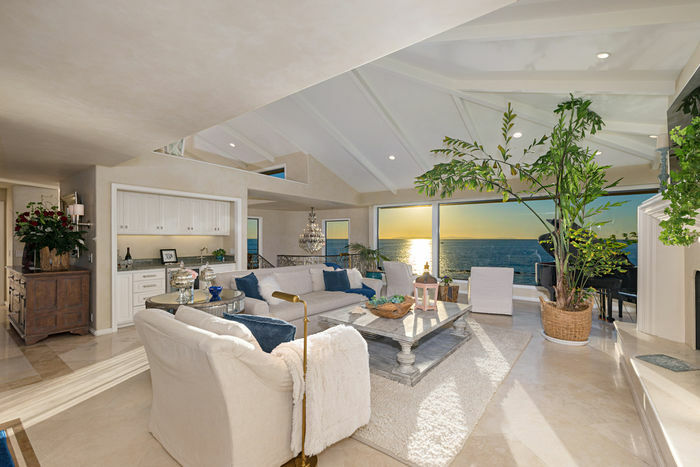 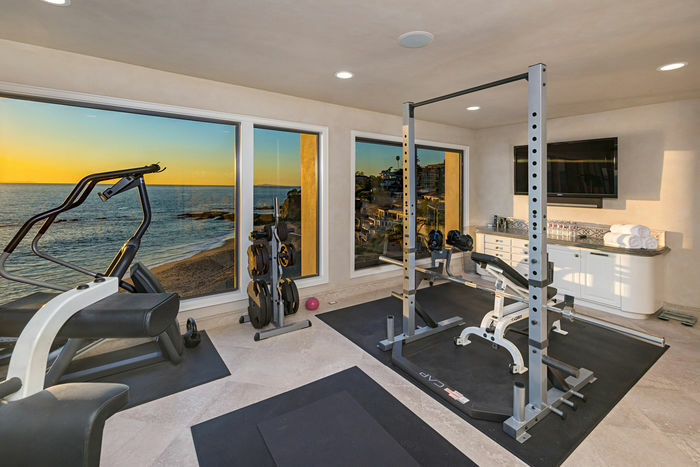 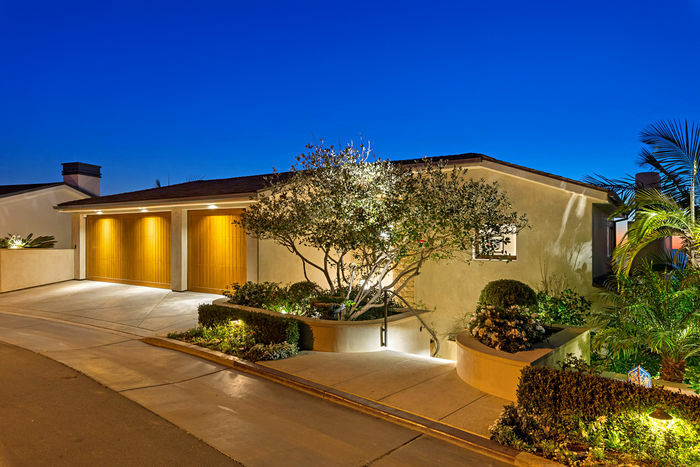 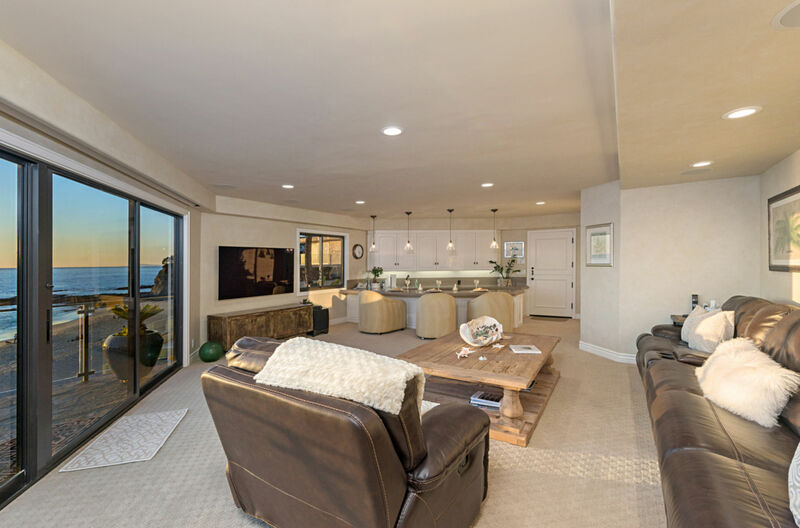 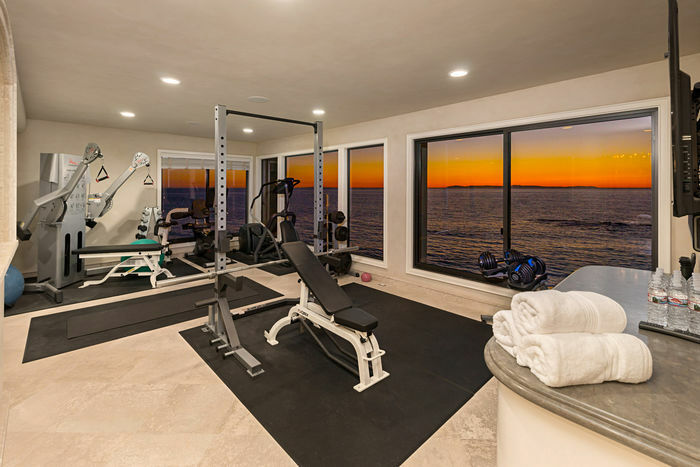 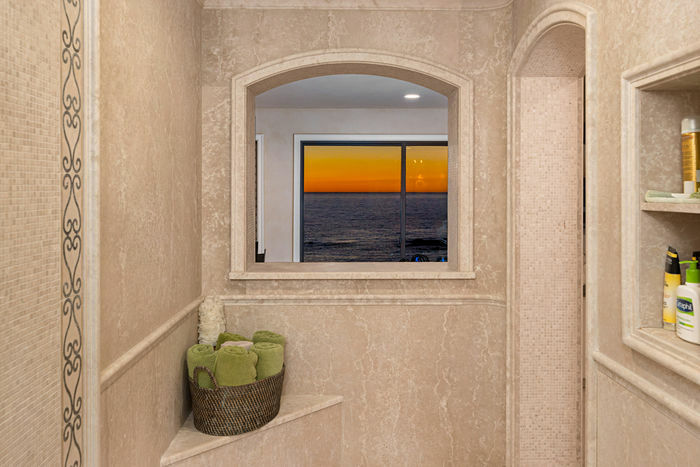 The remodeled “boathouse studio” provides beach close quarters for guests or as a retreat by the shore.This smart-home is integrated with lighting and sound automation. 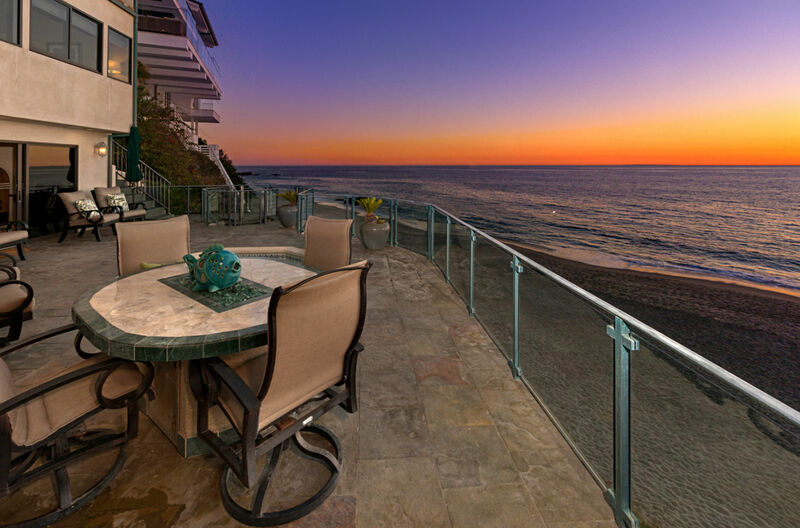 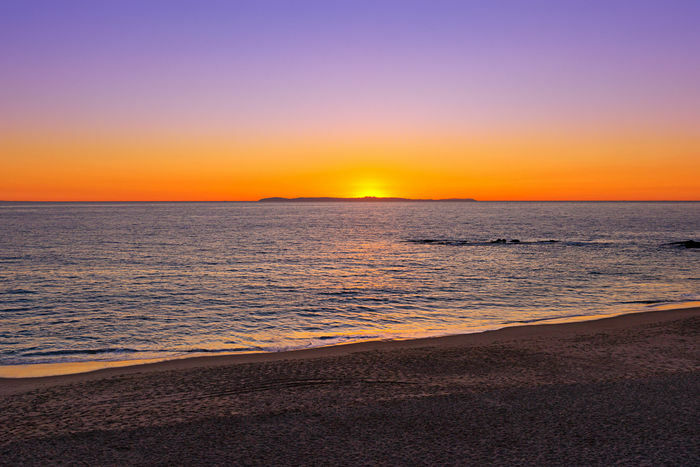 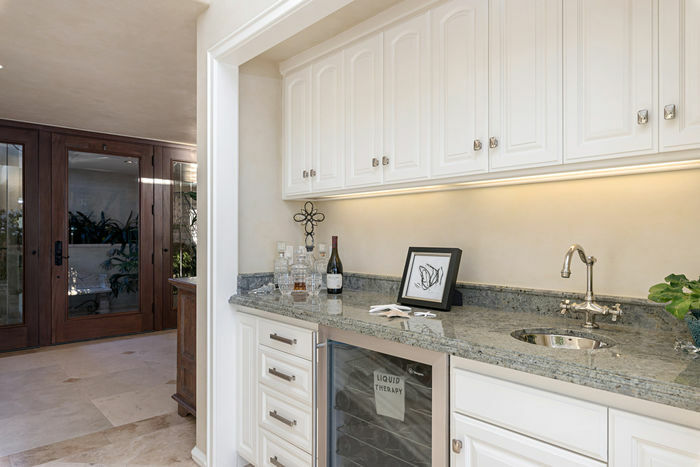 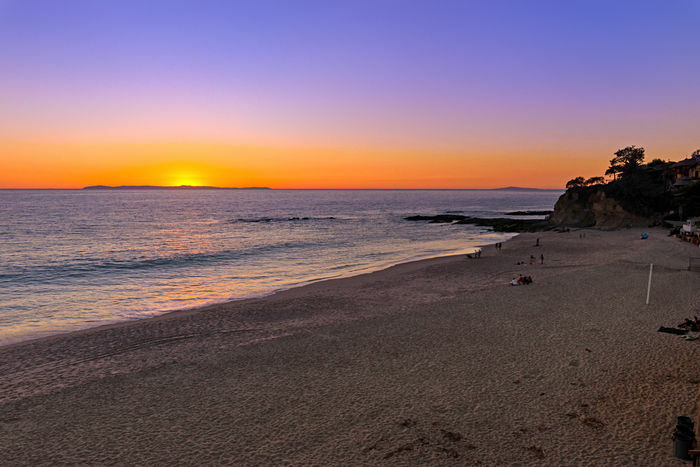 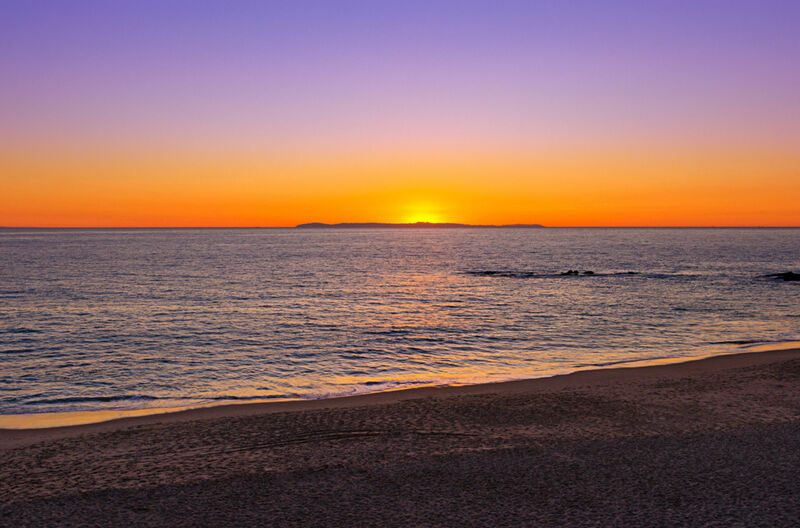 Lagunita is one of Laguna’s most pristine gated communities close to famed Montage Resort, shopping, golf, restaurants and wonderful Laguna Village. 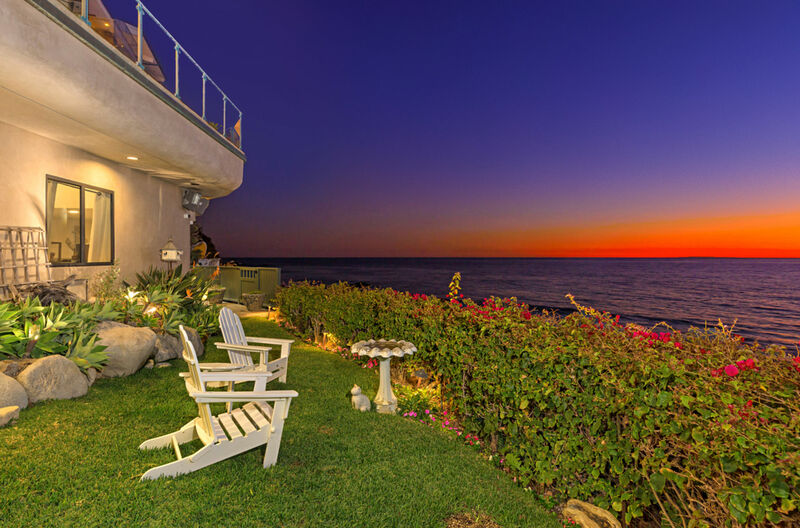 Come for a visit……Stay for a lifetime.